The future of fishing, FishBetter, started as an idea by fishermen – for fishermen. Tired of the old fashioned run of the mill fishing tournaments, the idea was to create a functional, engaging, and easy to use application for anglers to compete directly on their mobile device. With no existing app and as a fresh startup, the team at TriFin Labs had an empty canvas to help create the future of fishing. Knowing the app was going to be used in the elements, the app had to be as user-friendly as possible and offer an experience that was simple, direct, and fluid. Once the UI was ready, we ran into another challenge – we needed the app to force the competitors in ‘tournament mode’ to follow the unique set of rules for each tournament. This burden couldn’t be put on to the users, it needed to be automatic. We traced through the user experience with a fine toothed comb in an effort to make what is really a complex process, as simple as possible. This way we could create a truly modern, forward-thinking app that could grow organically among anglers. The FishBetter platform allows users to create and design tournaments with their own unique details: from choosing a tournament name and schedule; to setting competition boundaries on an interactive map; to uploading videos and photos to promote the tournament, the user truly has all of the power. With these tournament customizations, simple search features to find tournaments, and a payment process that made betting on tournaments and collecting your loot simple, we made a top notch user experience. Not to mention, a live chat function or what FishBetter calls “Trash Talk” has been a key feature in driving engagement with users. 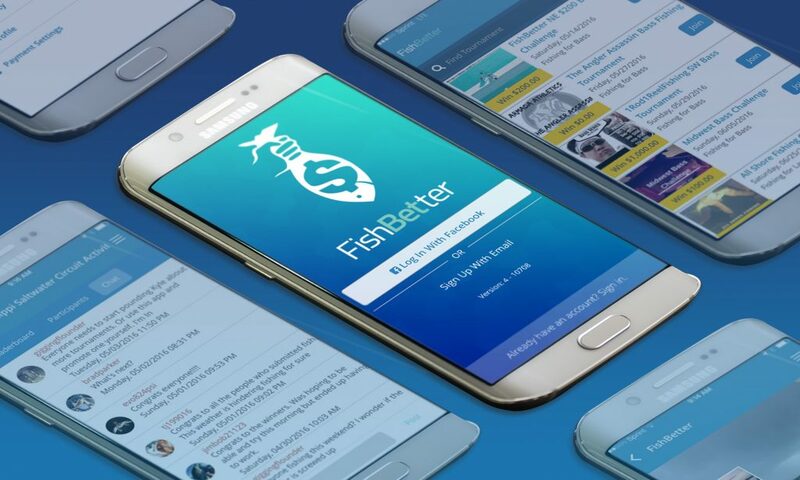 Launching the live FishBetter app has been great, generating thousands of organic downloads in only a couple months!